Welcome to the home page of the Adirondack 29er Challenge! 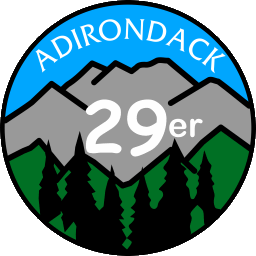 The Adirondack 29er challenge was created so that Adirondack hikers can enjoy spectacular parts of the larger Adirondack Park outside of the High Peaks region. All of peaks in the challenge have great views from their summits, and as such each and every one is an enjoyable hike - none of them are boring hikes that must be done "just for the challenge". All hikes in the challenge are no longer than 9 miles, and each one can be completed in a single day trip. All hikes have marked and maintained trails, no bushwhacking or expert map-and-compass skills needed! So, what are the peaks? from both lists will qualify as completing the main 29er challenge. There is now also a "Junior" 29er challenge, which is great as a "stepping-stone"
than 1,500 feet of elevation gain. peaks around the world, why not pay our friends a visit at Peakery.com?